This is a regular shuttle day Rain or Shine on the third Sunday of each month starting at 9am and usually runs until 3 or 4 pm. 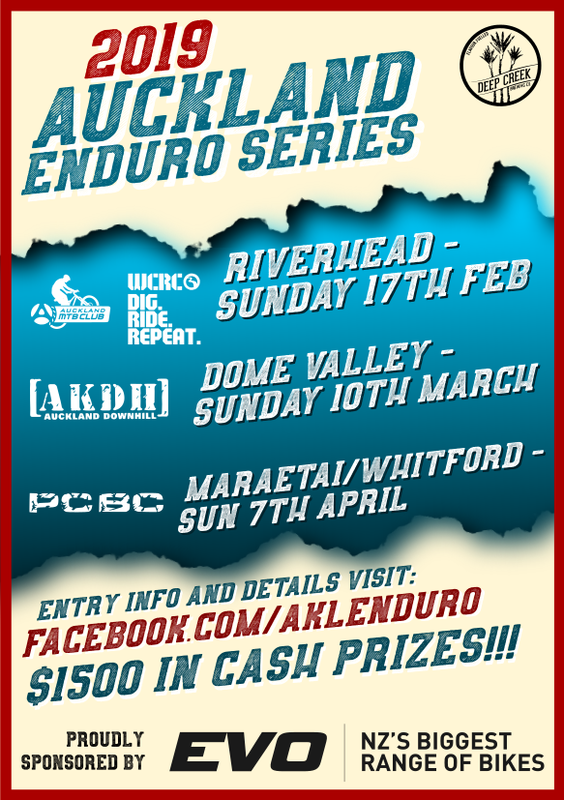 Hosted by AKDH (Auckland Downhill) trails are predominantly downhill and range from intermediate to expert level. Shuttles are free to club members ($40 to join or $25 for U15) or $20 casual riders. Located on Kraack Rd. which is opposite the Dome Valley Café car park (496 SH1). Drive to the end gate and it will be sign posted from there. Shuttles are the most effect way to ride the venue. Club members are welcome to ride any other time (put together a few mates for private shuttles) but need to ask the committee for the use of the key. That’s just so we know who is in the forest.